There is this famous poem 'Do Not Go Gentle into That Good Night' by the Welsh-English poet Dylan Thomas (27 October 1914-9 November 1953) written on his father's (David Johan Thomas) death. Strangely, Dylan Thomas for me is synonymous with my father, now no longer with us since the last four months, now resting under that "Good Night". My father did his Ph.D on Dylan Thomas under Prof. K N Sinha--researched and wrote over five years, completed it but did not submit, did not earn his doctorate--finding it more correct to only teach sincerely and contribute intellectually as well as on the ground to the Socialist and Sarvodaya and Teachers' movements in Bihar. Much later, he would say Dylan Thomas was not the poet for a Ph.D thesis...I do not know...but any mention of the name of Dylan Thomas reminds me of my father...here I reproduce what Dylan Thomas wrote on the death of his father-- a very moving verse indeed.Once my father told me that Dylan had a very good voice and he recited his poems so well that his recitations got turned into a commercial, consumerist item--the people made money out of that, but the poet's personal life suffered. And hooked on drinks and indisciplined life, he made his final exit rather too early. 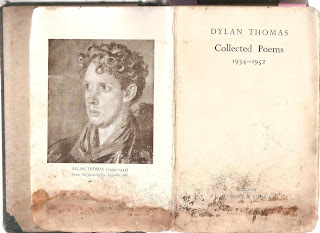 My father's notes on Dylan Thomas and his comments on his verses on the margins of Thomas' books have been like some permanent features of our households with which we all grew up--the images lingering in our minds. See below. In fact the entire book is full with comments written on the margins, at the top, bottom with references made like a student, like a researcher, like a teacher, like an explorer. My father, Prof. Arun Kumar Sinha (born 27th August 1940 at Saramohanpur, Darbhanga), taught English at Langat Singh College, Bihar University, Muzaffarpur. He joined in 1961 M S College, Motihari, Champaran as a Lecturer in English and in 1975 sought transfer to Langat Singh College, his alma mater, which was established in 1899 and from where he had done his MA in English in 1957-59 batch, and retired as University Professor and its Principal in 2000. L. S. College also celebrated its centenary year (1999-2000) during his stint as the Principal. It may be relevant to mention that Prof. Sinha was the elected President of L S College Teachers' Association for four times in the 1980s and 1990s and was twice elected General secretary of the Combined Teachers' Association of L.S. College and Bihar University PG Departments' College and University Teachers in the early 1980s. While in the 1980s and 1990s he served as the Chief Editor of the L S College Magazine 'Vaishali', in the 1990s, he was the Head of the Department of English of the College till his retirement. He passed away on 27th-28th November 2011 at Patna. (please see http://articles.timesofindia.indiatimes.com/2011-11-30/patna/30458045_1_sinha-condolence-meeting-social-activist). 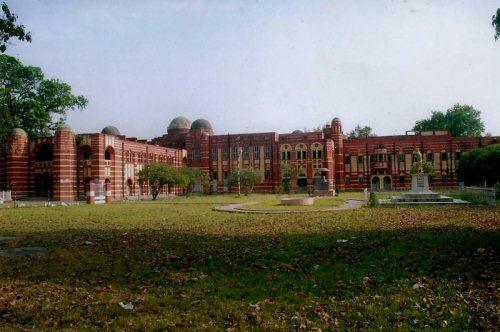 The present magnificent building of my father’s college, Langat Singh College, Muzaffarpur, was designed on Balliol College of Oxford (see below) and was constructed between 1915 & 1919. The present site of the college was selected by Dr. Rajendra Prasad, then Professor in the English Department in this College, and later the first President of India The English post-graduate and undergraduate teachings were jointly conducted at this College till 1984 before bifurcation of P.G. departments and L S College. 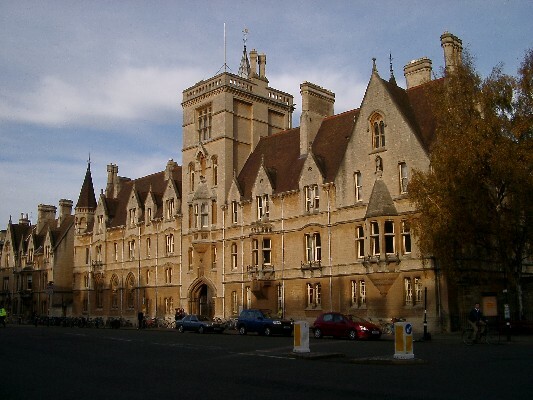 The architecture, however, also seems to have used Islamic style domes and its red sandstone colour artifice gave it an identity of its own as different from the Balliol College. Balliol College on Broad Street, Oxford, London. Its Catholic features were not used at the top end in the Langat Singh College building, the architecture of which was 'Indianised'. Later in his career, Prof. Sinha wrote a fine longish nearly 100 page introduction to 'Huckleberry Finn' and did an Intensive Study of T S Eliot--both published as books by Spectrum Books, New Delhi, the first one with the text of the novel. I co-authored the Eliot book with him. 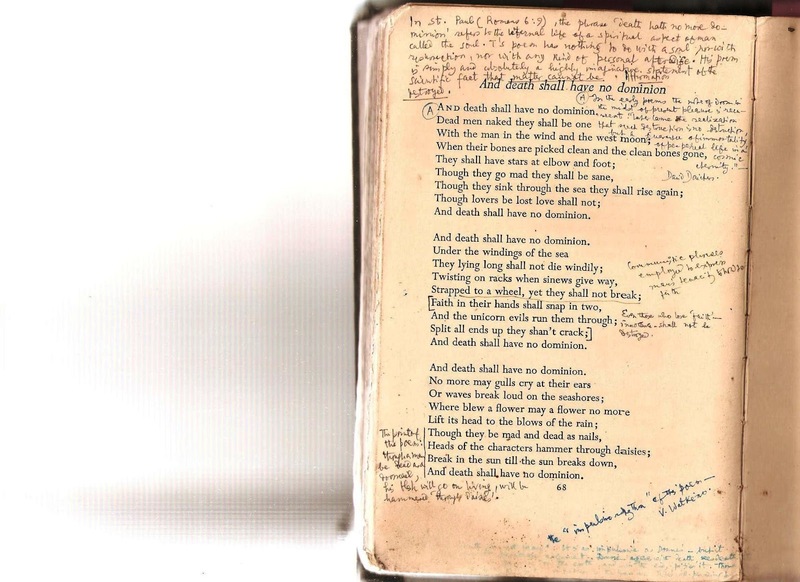 He wrote on long poems like The Waste Land, Ash Wednesday and also 'Ariel Poems' and I wrote on Prufrock volume and POEMS 1920 volume, The Hollow Men. The 85 page Introduction was largely by him, with myself chipping with 10 pages. It is nearly 500+ pages one of its kind study with intensive annotations and critical essays on individual poems written over a period of 6-7 years published so elegantly by Madam Kalpana Rajaram, Editor and Publisher of Spectrum. I also collaborated with him to translate the monograph of Ramdhari Singh Dinkar from Hindi to English with many long passages in verse from Dinkar for Sahitya Akademi. He was the main translator. He translated 6 chapters, while I contributed 1 --published by the Akademi to commemmorate the birth centenary year of Dinkar in 2007. His unpublished works include a full-length intensive study of 'Four Quartets', a novel in English, many critical essays, socio-political writings etc. He also wrote a long critical introduction to E.M Foster's A Passage to India for the Course material of the English (H) conducted by the Distance Education Directorate of B R A Bihar University, Muzaffarpur. He also guided a Ph.D dissertation titled 'Charaterisation as Skill in the Plays of G. B Shaw.' For nearly 15 years, he gave several serious academic lectures on Literary and General topics to the college and university teachers participating in Orientation and Refresher Courses conducted by the Bihar University branch of UGC's Academic Staff College since its inception in 1987. But for Thomas there was no journey to paradise through hell; there was no tunnel of boredom through which he had to pass. His journey to the gates of paradise was faster than that of Dante or Eliot. It was so because this Bard from Wales remained an Animula in the worldly sense and that’s why when he died young in America, where he had gone for lectures and broadcasts so that he could get money to live on, his passing away evoked profound sorrow. Here is the poem by Dylan Thomas in this backdrop. For the line 'Rage, rage against the dying of the light', the comments are: 'The value of rebellion is praised." How should I respond to these notings written above...I do not know. My father's notings on this poem taken from Dylan Thomas: Collected Poems 1934-1952 published by J M Dent & Sons Ltd, London (first pub. in 1952, 15th reprint in 1964), p. 116--these comments were perhaps written sometime in 1968-1969 while he was doing research on the poet and was a Lecturer in English at M S College, Motihari, Bihar. I have noticed a strange coincidence as I write this. Dylan Thomas’ poem was published when he was 38, when he lost his father. And as I write these lines, I find that I am also 38. You can listen to Dylan Thomas reading this poem in his mellifluous voice so characteristic of him at the link http://www.poets.org/viewmedia.php/prmMID/15377. However, as a good measure, I have myself recorded the poem in my own voice which I am unable to upload due to some technical error. I do not seek any resemblance of the tone and style of Thomas’ own recitation. The only resemblance that can be drawn is that while Thomas learned how to recite poetry during his young days from his father, who was an English teacher, I myself grew with the images of my father reading poems aloud in his loud, clear and ringing voice just as a way to draw joy from the verses. He would always tell us that poetry needed to be read aloud in order to understand and appreciate it better—a practice that he followed till the very end. Loosing father make you so lonely in the world! You loose the Anchor! Dylan Thomas's poem reminded me of Death of my father 10 years back. He left this world before seeing his son growing to his wishes in Kerala! Rage, rage against the dying of the light...........the rage is still there.......it is in you now. I fully appreciate your feelings about Dylan Thomas. At this moment I am struck by the fact that I also loved Dylan Thomas and was moved by a photograph of his mother watching the sea from their boat-house and it was the year she had lost Dylan Thomas and, if I remember correctly and her daughter. Indeed I had composed a poem on that scene and wanted to send it to her. As usual with most of us procrastination took ultimate care of the poem and my wish to share it with the family. I will go through the poem and get back to you. Thanks, Kumar for this post. It is indeed a glowing tribute to your father's memory. my sincere regards for the great soul. i didn't know him but persons like him inspires generations to do something in life. you are fortunate to have a father like him. thoroughly enjoyed them. Will continue reading the rest. Thanks for your mail and for the link. You have made me nostalgic. I knew Arun Babu very well. I was a research scholar then, and was working with my guru, Professor K. N. Sinha. After Arun Babu joined LS College, Muzaffarpur, on transfer from MS College, Motihari, I got to know him. I soon developed a special affinity with him. He was a fine human being. A very sensitive student of literature. Full of humility in all respects. ...Let me tell you one thing more. I also taught this poem "Do not go gentle..." to my students. In fact, I chose it for the syllabus I developed some years ago. But I see greater meaning in this poem now, now that I too have lost my father, as you lost yours, and Thomas lost his. Strange are the ways of convergence in this world. Good that you have posted Arun Babu's photograph. He looks so different. Very unlike the one I knew so well. Thinking that he wrote a fine dissertation but never rushed it through for a degree, makes me respect him all the more. Many can't really appreciate this today. There are not many like him today. Thanks once again for your gesture that made me write all this. Where do you live? Can we meet? Can we speak? Keep in touch. May God be kind to us. Its really shocking that Arun Sir is no more. I still remember that I started my career with him only. His affection and compassion always protected me. It is good that you are trying to highlight his work. 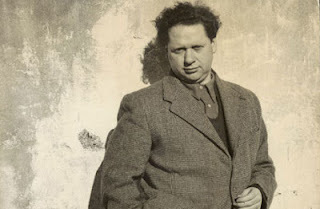 The connect between Dylan Thomas and your father is by itself interesting. Added to it was the connect between Dylan Thomas and his father as well as u and yr father. These are the stuff literature is made of. Made fascinating reading. Keep it up. Nice to know some hidden facets about Mausa(late Arun Kumar Sinha). His intellectual integrity was his biggest asset. During my long association with him I got to hear about Dylan Thomas only 2-3 times. He had a personal affinity with Dylan who enjoyed a sacred and secret place in his heart even though his work on him could never see the light of the day. Mr Sinha was my godfather -my friend, philosopher and guide, the last one literally. I will have this enduring painful regret throughout my own life: I could not give him the satisfaction of leading me on to the successful completion of my own research work on M. Arnold. I always hated Arnold as a stern, opinionated and unaccommodating moralist. Whatever I managed to write on him was deliberate, contrived and without any empathy/sympathy. Mausa understood and let me be- albeit with pain. In a hundred other ways, though, he moulded me into whatever I am today. He was a master of wit and hitting understatements. May my indebtedness grant him peace and rest in his heavenly abode. I am deeply impressed by the email you have been so nice to forward to me.It reminds me of a whole lot of things:my association with the dept of English,LSC,in general,and with Dr KN Sinha,in particular.Also the vigour with which I pursued my studies on Hart Crane,but didn't consider it worthwhile to submit it for a degree,maybe,mainly because of my very close and almost personal involvement in what is now called JP Movement.I did my MA in English in 66,and retired as a Professor ,seven years back.I choose not to mention my political interests and the positions I have been holding all these years.But I am really sorry not to have been in touch with you,during my six years in Delhi,as a member of Parliament (2006-2012). Your father,whom you have rightly introduced in your blog,was one person whom I respected most for his profound scholarship and unassuming nature.I always ranked him with my teachers,Prof KC Shrivastav,Prof HR Ghoshal and Prof DN Mallik,all such persons that have greatly contributed to my life and career. You have referred to some of his works.May I just know if I can get copies ? I wish to thank you for the message,and would love to be in constant touch. The poem is obviously denotive of the state of being of Dylan's father and what he himself want him to be. Words 'gentle' and 'burn and rave' suggest, what age withers and youth does not comprehend and therefore does not appreciate. The last word in his noting is neither 'death' nor 'lost' . It is 'best'. I have read that by enlarging the notings. He perhaps had "To be or not to be" in his mind, " For who would bear the whips and scorns of time… when he himself might his quietus make with a bare bodkin? " A dying man does not have this luxury of "to be or not to be". He is on the verge of " not to be' and in the process of passing from one state of being to another with perhaps, different gravitation, and, therefore, " quietus make" and not "rage, rage". The torturous sufferings that he lived through had made "chotka chacha" stoic. Therefore he could understand and interpret the 'gentleness' of Dylan's father as indicative of "incapacity of man ever to know what is best". Your father and I are both 1940-born, though I am older by six months. We both did our Master´s in English literature and studied at comparatively famous colleges - he at Langat Singh and I at Christian College, Indore.I was fourth in the merit list of Vikram University, Ujjain,1963. We were both teachers of English literature - I at Gujarati College, Indore, then Government Colleges in other towns of Madhya Pradesh and, for a brief, final, period, at Hastinapur (now Motilal Nehru) College, affiliated to Delhi University. I now feel like a traitor, having abandoned teaching in 1976, which still remains my first love. 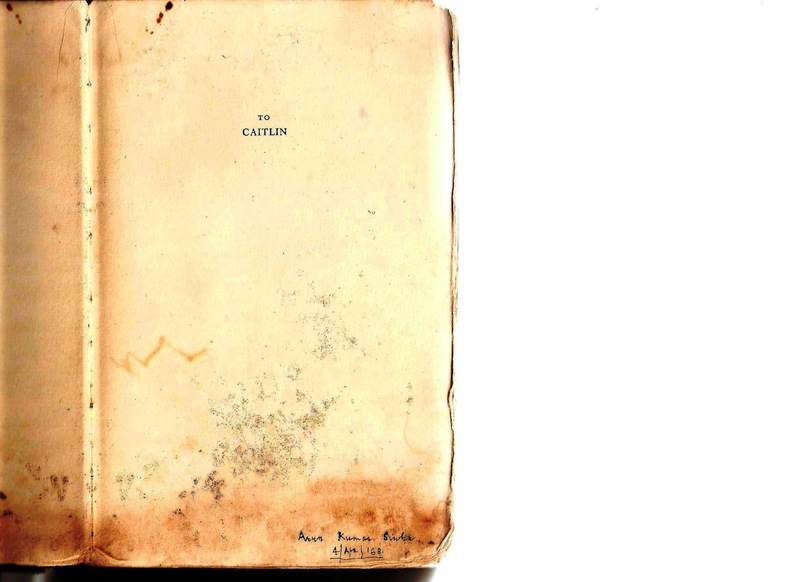 What is yet more striking is our involvement with T S Eliot - I had the temerity of translating his "The Waste Land and Other Poems" into Hindi in 1960, before I was twenty and without sowing wild oats in plenty. But I had the gumption of writing both to Eliot and Jawaharlal Nehru for prefaces - the former being the poet himself and the latter the first-ever political leader in the world to quote the last four lines from "The Hollow Men". My requests were politely declined - Eliot being away,teaching in the US and Nehru busy with a parliamentary session. 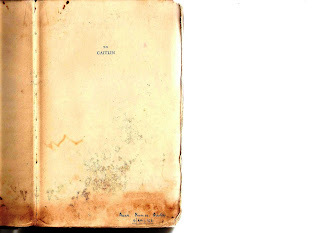 Ultimately the translation was published by the copyright-holding publishers Manmohan House, Cuttack, Odisha, with two short prefaces - a Hindi one by the eminent poet from Bihar, the redoubtable Ramdhari Singh Dinkar, and in English by Prof Humayun Kabir, the-then Union Minister for Science and Culture - both close to Nehru. I never approached them - maybe Nehru forwarded my request to them. Neither ever came to know that they were praising a stripling who was not even a graduate then. Dinkar would surely have pulled my ears had he come to learn. I met him much later when I had safely grayed. 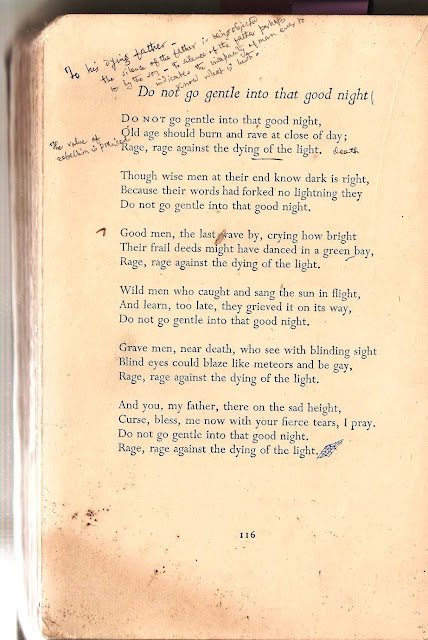 The Don´t Go Gentle into that Good Night poem by Dylan Thomas also has been a perennial challenge but there seems to be no equivalent one-word verb for "to rage" in Hindi - kupit/naraz/gussa mat/na ho´o etc. all dilute Dylan´s rage. Mat gussao is even worse. Perhaps all thinking sons and daughters find it very difficult to come to terms with their fathers, living or dead. My deceased father (1917-1968) and I shall go on raging at each other on a day-to-day basis - he had no business dying so young on me - till I meet him. But your father was also gentle. I am fortunate he spoke to me at Siya´s first birthday.